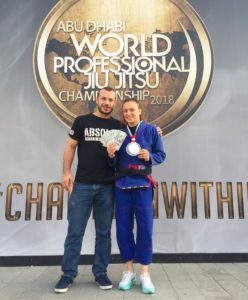 Let’s rewind 6 weeks to the Abu Dhabi World Professional Championships. This year I was lucky enough to qualify as Oceania’s #1 fighter, as I collected points at LA Grand Slam, Continental Pro and the National Pro and as a result I won one of the travel packages on offer. 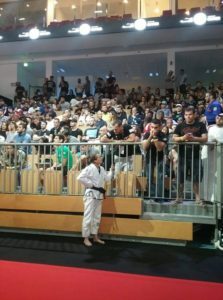 In fact, Absolute MMA won all the black belt packages for males and females! Lachie and I were joined by Shantelle, Ben Hodgkinson (who had to withdraw last minute), and Chi, Sarah and Apryl in the adult divisions. It was also wonderful to catch up with my International friends like Margot, Reem, Rose and Erin. I decided to cut to 49kg. 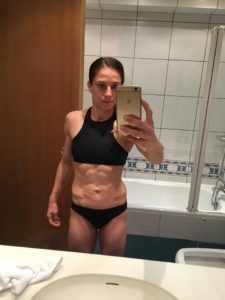 It is still an extremely difficult cut for me, as my usual walking around weight is 53kg and I’m already quite lean, but UAEJJF comps have 24 hr weigh in, so it’s just manageable. It’s the third time I’ve cut this much weight, and although it gets mentally harder each time, I also find it easier physically because I know exactly how my body responds and what is required of me. Not many people can understand how difficult it really is… I work full time, coach and train up to 4 hrs a day, which is no fun, when you have zero energy. Whoever says weight cuts are easy, flat out lies! Dropping down below 10% body fat is certainly one of the hardest things I’ve ever had to do. It took me 5-6 weeks to get down to about 49-50kgs on a very calorie restricted diet. The rest of the weight came off with manipulating my sodium and carb intake and eating low fibre for a few days before the comp. I sweated out only around 800g before the weigh in. 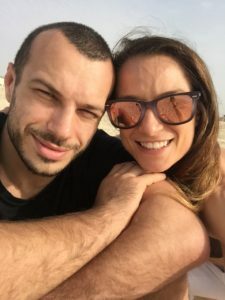 The most important thing for me is safety and health, so I always consult with my dietician Reid Reale and make sure that I am disciplined enough with my diet, so I don’t have to cut a lot of water. I had an interesting bracket with a bye first round, then a multiple Worlds medalist Serena Gabrielli in the semi final. I had a great fight with Serena and although I couldn’t consolidate my pass attempt, I won by 2 points from a sweep. I was stoked to make it to the World Pro final, especially after over-coming such a tough opponent. 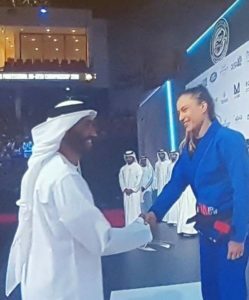 Just 2 years ago, I remember watching Mackenzie and Michelle fight on the big stage, feeling like it was a far-away dream to ever follow their footsteps. 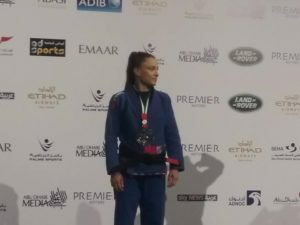 I was pumped when I woke up and couldn’t believe I would be stepping on that stage as the first Australian to ever make it to the finals in the adult black belt division. Walking out through the lights and the fireworks was electrifying and I couldn’t wait to tap hands and fight. I had to keep remembering that the pressure I felt, was a complete privilege of an emotion, that only a few could ever feel, so I embraced it with all my might. 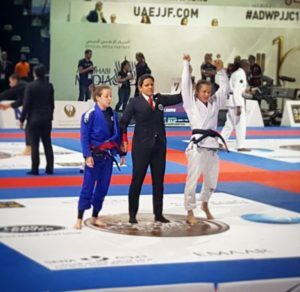 My opponent in the final was Brazilian Mayssa Bastos, whom I fought at last year’s World Pro and lost by 1 point. 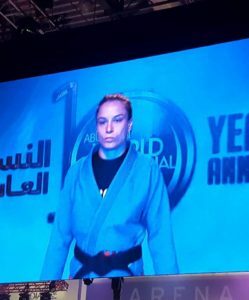 Mayssa is one of the most technical fighters on the scene and I knew she would bring her relentless bermimbolo game. However I felt well prepared and ready for everything. I am a quite well rounded fighter, who is not afraid to wrestle or stay on top as well as play guard. We double guard pulled and I decided to come up for an advantage. As expected, Mayssa attacked bolos off a lasso, which I defended and deflected well for a few minutes. However as I defended a shin flick to possible triangle, I left my leg out for Mayssa to get a deep DLR hook. 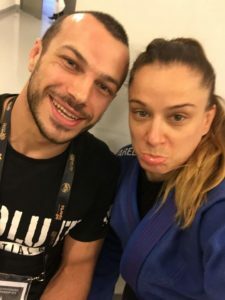 Things then went from bad to worse – I defended a back take but the choke was already on as I started to scramble back on top. I had no choice but to tap. After such an amazing build up, losing the final was definitely underwhelming and disappointing as I expected much more from myself. However, the better fighter won that night and the only thing I can do is learn from it and improve. I have gotten a lot better at not constantly replaying the mistakes in my mind and making myself feel terrible about them. Instead, I make a plan on how to build on my game and fix the things that didn’t work. 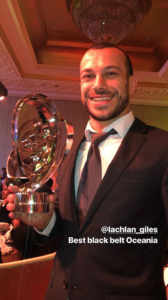 I was so happy for Lachie to win the prize for the top ranked male in Oceania for the season – he deserved it so much. I ended up ranked # 7 female in the world and #1 female in Oceania. I flew home full of inspiration and ready for my Worlds prep. Every time I have competed this year as a black belt, I have improved and gained confidence. I am finally starting to believe in myself and trust my technique. 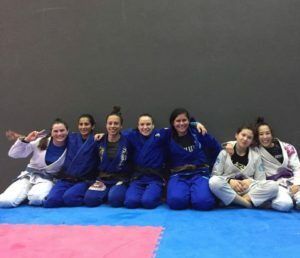 I try my hardest to fix the mistakes I make and compete smarter, but also I am constantly up-skilling my game – be it working on my bolos, half guard, wrestling or torreandos. 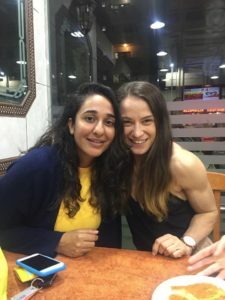 I know I haven’t reached my potential yet and I also haven’t competed to my full abilities at black belt… but I am building momentum and I know I am not far. Can’t wait for the rest of the year!